Uh-oh, it’s “Summer Slump” time. Sometimes, in the summer, sales for Direct Sales Reps start to slump. So, today, your FindSalesRep Support Team was racking their brains, trying to figure out what people are spending their money on during the summer besides travel and outdoor stuff. Does your company have products that can help people prepare for weddings? If so, it’s time to POST to Your FindSalesRep WALL! Note that you’ll need a Featured Listing to post to your wall – if you need to add a listing or if you need to upgrade you can save up to 85% by checking out the FindSalesRep Treasure Chest. Where’s Your WALL? YOUR FSR WALL is YOURS and you should Login to Your Listing at www.FindSalesRep.com and look for the “Post to Your Wall” link. Post often using words and pictures that people will be looking for when they need what you’ve got and then… Get Found. DID YOU KNOW that Reps with a Featured Listing on Findsalesrep.com, have the perfect place to post this kind of information? Have you started to add Pictures, Descriptions, and KEY WORDS to YOUR FSR WALL? This is MUST DO! Must meaning… you must do this. It’s free and will help you grow your business. Yup, it’s all about you and it will help You Get Found. Keep potential and current customers up to date and increase your chances of getting found in search engines just by posting status updates on Your FindSalesRep Wall! Yes, it’s a lot to take in…. but it’s true! You can get “social” with your potential customers on FindSalesRep.com. Let them know what you have in stock, about new products or about sales or special offers. Tell them what they need to know about you, your company and your products by using key words that will lead them straight to you. Then, show them before and after photos or pictures from a new catalogue. Pictures say a thousand words. Share them! You can put it all in your own words. Use key words to tell them about new products, sales, whatever. Post about your favorite products. New product images with descriptions of the products benefits, or why you like the product. Updates about your company’s business opportunity and compensation plan. Product and Opportunity Videos (use the “Link” button to post YouTube video links). Links to any Articles you’ve written, or articles you like. Pictures of you at home parties and events. Pictures of you helping customers. THEN… if you want to take it to the next level, here’s a great tip. Once you make a post, you can click on the “Permalink” to view just that post. 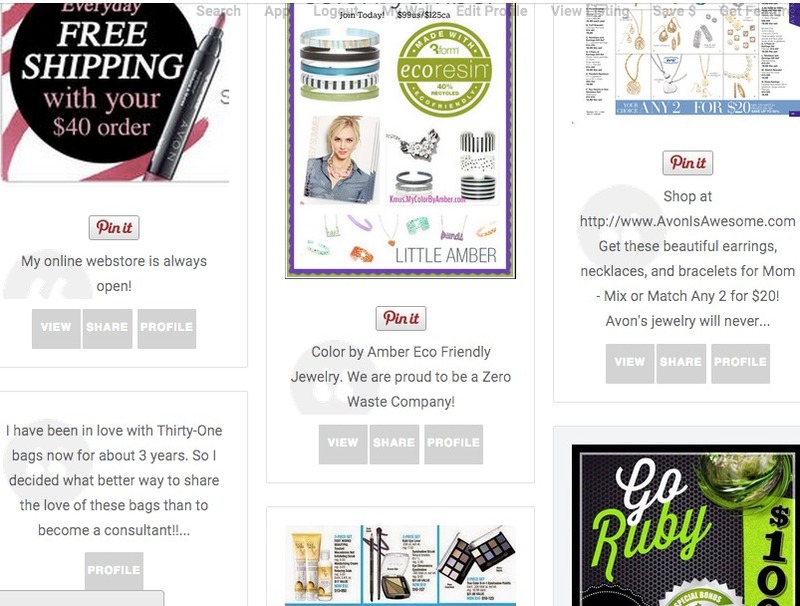 Then, click the Pinterest share button – that way you get exposure on Pinterest and Pinterest also links back to your posting on your FindSalesRep Wall! So really, this is a Twofer Tip. Some pins from FindSalesRep Walls have been re-pinned thousands of times. That’s great exposure for your business. You can also share the same link on Facebook, Twitter, etc. This is great because it gives you one place to link to from all of your social networks (so you can post once, and share everywhere).